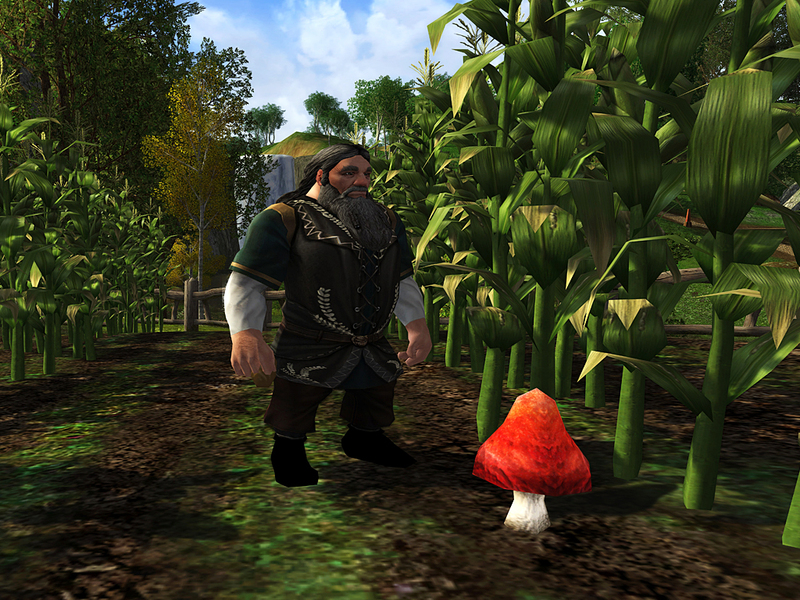 Farmer Maggot's prized mushrooms are famed throughout the Shire and young Hobbits have long held a tradition of sneaking onto the farm to steal off with a succulent snack. Now it's your turn to help yourself to a sample of his fantastic fungus, but watch out - Farmer Maggot does not take kindly to trespassers and you will have to keep an eye out for his dogs, Rip, Fang, and Wolf along the way! 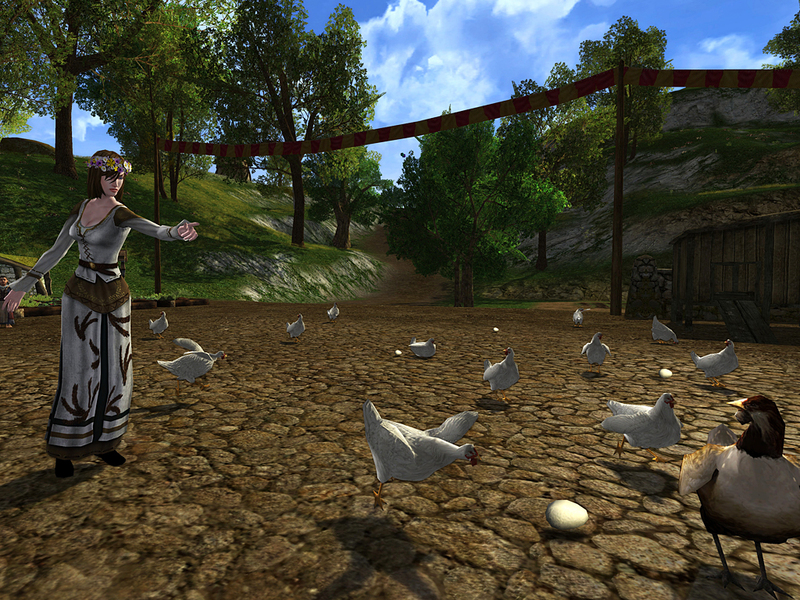 Each year, faire-goers scramble about Sandson's Farm in an effort to gather up the most eggs. This year, however, rumors are milling about that Farmer Sandson has been feeding his chickens special seeds, causing some of their eggs to turn peculiar colours. Make your way over to Sandson's Farm, where you will be tasked with grabbing as many of these special eggs as you can to turn them in for festival tokens. 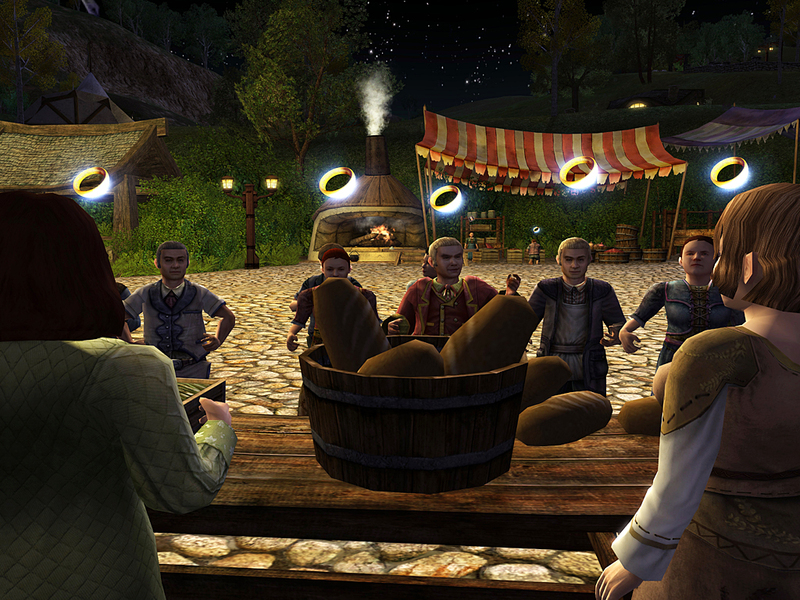 Help an overworked hobbit vendor fulfill the requests of her impatient customers. Lend a hand tracking down lazy vendors, taking grocery orders, collecting apples and making mushroom stew! Will you help or hinder the Bounders? The choice is yours! 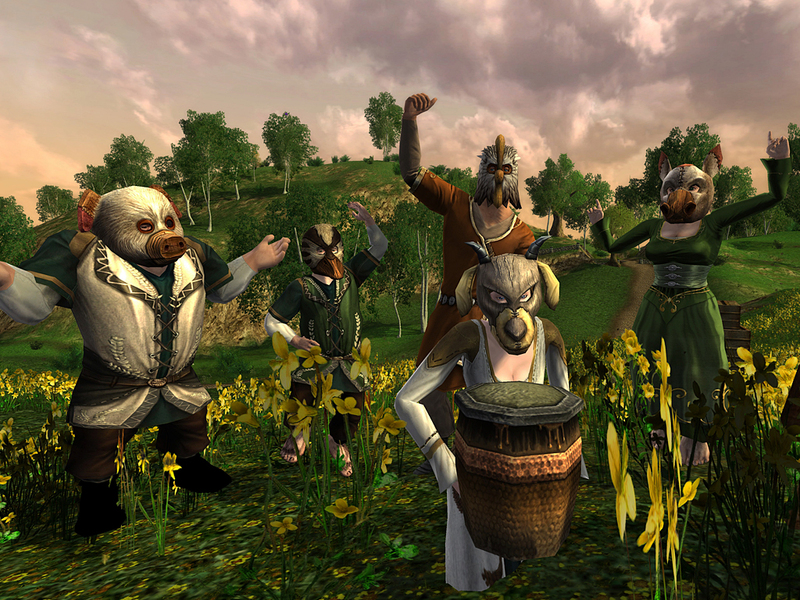 The Shire is full of revelers and the Bounders need your help. Lend them a hand by scolding a few saucy, drunk fair-goers to help maintain order. Or, in the spirit of celebration, you could just pelt the Bounders with rotten cabbages - but make sure you don't get caught! Mosey on down to the local fishing hole to reel in some extra festival tokens! 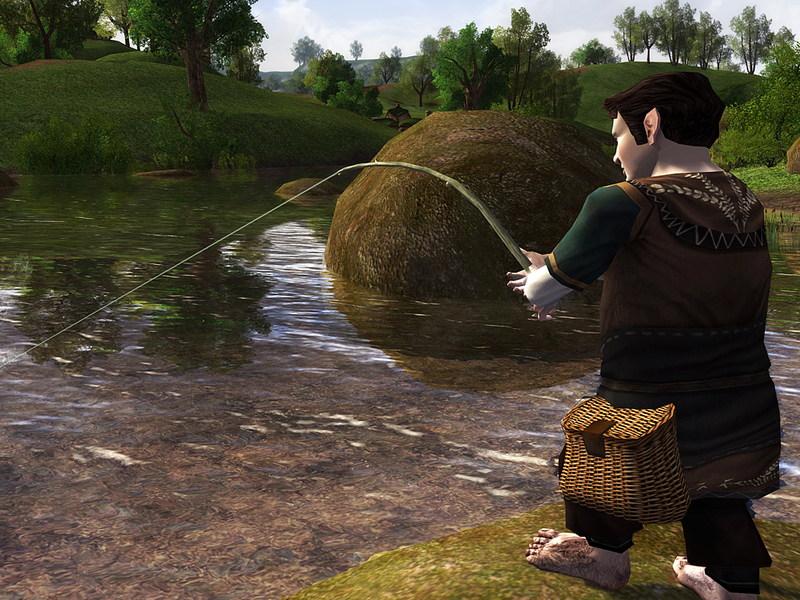 While you're there, help some Hobbits recover lost items, teach a squeamish one how to fish, and at the end of the day, trade in the fish you catch for additional tokens!